﻿﻿﻿﻿Eleven years ago today, in a sultry Roman heatwave, I and my companions made our perpetual profession of vows on the Feast of Corpus Christi. So when I realised that this year the feast would once again fall on the 22nd June, I did a little interior skip of delight! The anniversary is always special, but this is the first time (and may well be the last!) when it has coincided with the actual feast. And in this synchronicity there has been a special invitation to reflect again on the Gospel and homily from our ceremony. 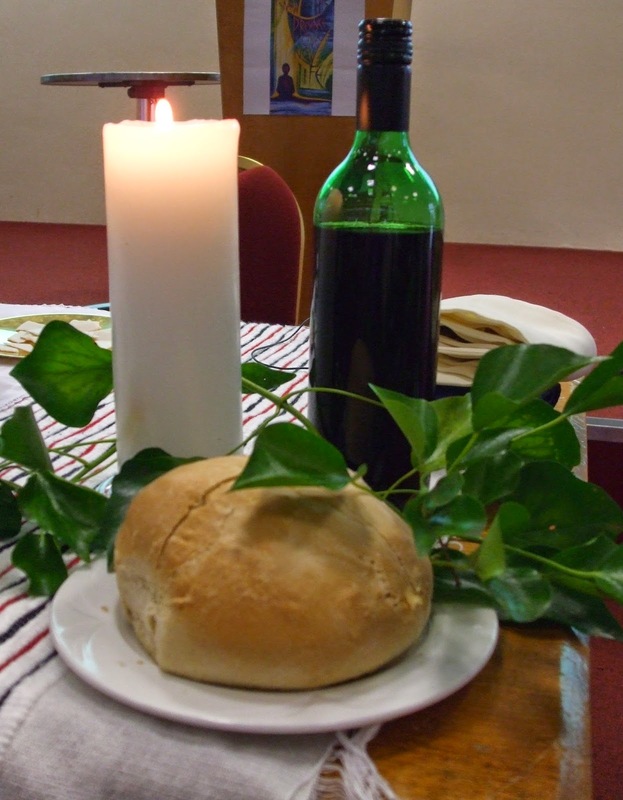 As it was Corpus Christi we used the Gospel of the Feast - Mark's account of the Last Supper. At first glance it might seem a strange choice for a profession, where the Gospel is usually more obviously centred on call and response, but actually, as the homilist reminded us, it was perfect for what we were professing. It's good to be reminded of this at any time, but especially today, as I celebrate and renew my commitment to be the presence of the love of God for others. Please pray for me, for my eleven companions and for all RSCJ, that we may truly live our call and follow Jesus in proclaiming God's self-giving love with our lives.